Indeed! A baby’s warmth and innocence is blissful and oh-so-beautiful! I cannot agree more to this fabulous quote because I love kids and whenever a new child is born in our family, be it a girl or a boy, we all greet them with equal excitement, because it is obviously one of the greatest miracle of Allah and a great blessing to the parents and family. Thus, taking great care of the child and making sure that they don’t feel uncomfortable and messy as much as possible is the greatest task of any parents. Irritability leads to crankiness and thus affects the peace and health of a child. Grooming a child with the best of cleanliness and hygiene is crucial. What is the best in that case then? Don’t panic! 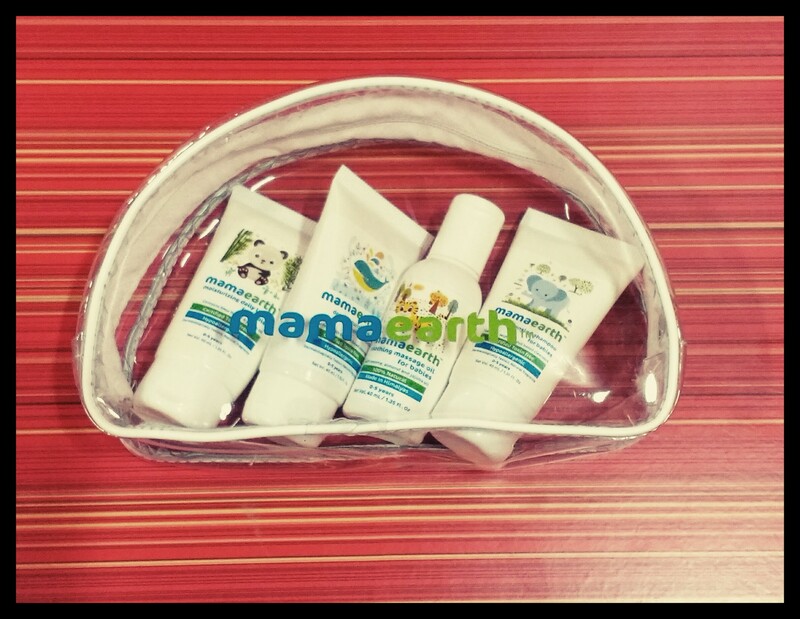 Recently, one of my friends introduced me to this Amazing product- Mama Earth which is Asia’s 1st Made-Safe Certified Brand. It was initially curated and created by two doting parents of Bambino and further they developed this awesome brand, Mamaearth to solve the problems of many such parents. They say it is a brand, by a parent, for a parent. A brand which develops products from world class research and attempts to solve every little problem that parents face. With the aim of making products which are mum-baby friendly, toxin-free, meet stringent international standards & are basically ultra awesome. How were the MamaEarth Baby Products? Well, I would give it a thumbs up. The packaging was good- neat and precise. The products are safe and healthy. The consistency of the products is smooth and it blends well with the skin. The aroma of the products is mild and soothing. My nephew Mohammed Hasnain is a cranky baby and he is mostly irritated by his skin. Even a simple rash bothers him and my sister has a tough time in maintaining peace at her home. I gave her Mama Earth products to replace her existing Baby Care Products to see if they suit him. And she finds them oh-so-awesome. She always had this rash problem query about Hasnain and now she says that he is now finding peace with the Mama Earth products as the rash subsided to a great extent with the regular application of Mama Earth Daily Lotion. In fact, she aims at buying Mama Earth products for her son. Isn’t that awesome? My Verdict for Mama Earth Products? Since it helped me achieve my goal, I would give it a big thumbs up and a rating of 5/5 from @akatheversatile! Where to buy Mama Earth Products? Have you tried out Mamaearth products yet? If not, what are you waiting for? Also share about your parental woos in the comment section. Previous Previous post: Epilation: 10 Moments you won’t have to miss if you’re smooth! Next Next post: Lakme brings in sustainable fashion & Handcrafted Jewelry: Galang Gabaan in association with Tripti’s Exclusive by Nishta Goel!